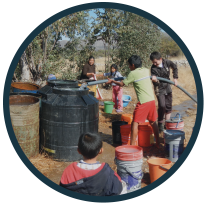 The indigenous communities of La Lava, Kantuyo and Okoruro and the surrounding environment of the Rio Juckucha watershed have been adversely impacted by mining pollution for over a century (Figures 1 and 2). 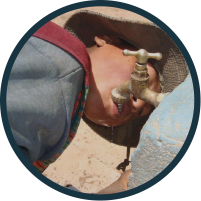 The approximately 8,500 residents of these communities are predominately indigenous subsistence farmers. Regional soils and water resources are severely degraded due to mining pollution, primarily from acid mine drainage (the water that flows out of active or abandoned mines) and discharges from ore processing facilities (Figures 3 and 4). 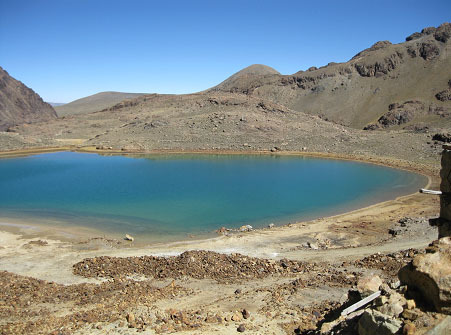 Acid mine drainage has led to severe degradation of local water supplies, rendering crucial water resources in this high (11,500 to >16,000 ft elevation) desert unusable for human and animal consumption and agricultural use. This situation has led to conflict between local farmers and miners because acid mine drainage is ruining irrigation water resources, thus decreasing already low crop yields and endangering families by exposure to waters containing elevated levels of lead, arsenic, cadmium and other metals. 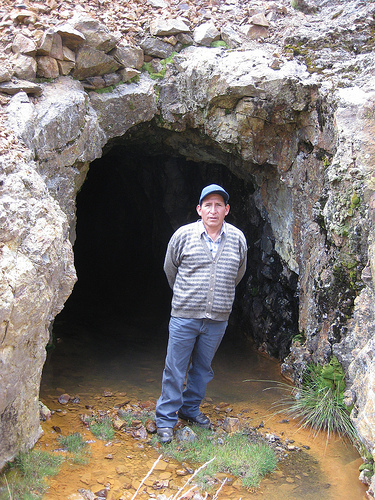 Recently, local farmers have stopped the expansion of mining activities in the region by blocking access roads. However, farmers and miners come from the same pool of workers and often local residents work in both sectors depending on economic factors. Therefore, it is in all residents’ interest to bring this discord to an end. 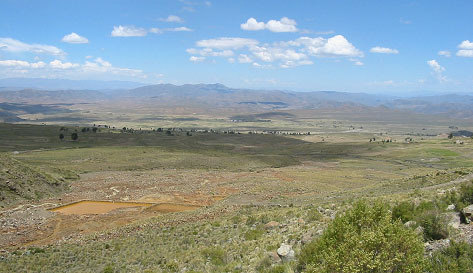 The University of Oklahoma Center for Restoration of Ecosystems and Watersheds (CREW) and their multiple partners, are working to resolve this important environmental and social problem by partnering with EMAK, a progressive mining company in the region that wants to tackle the water contamination issue and help restore Rio Juckucha for the benefit of the local environment, agricultural sector and regional mining interests. 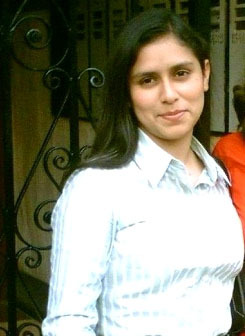 In order to restore Rio Juckucha as a safe irrigation water resource, William Strosnider, a University of Oklahoma University PhD candidate with CREW, under Director Dr. Robert Nairn, studied the situation and developed a remediation plan that will be implemented by the an international coalition of partners mentioned below. 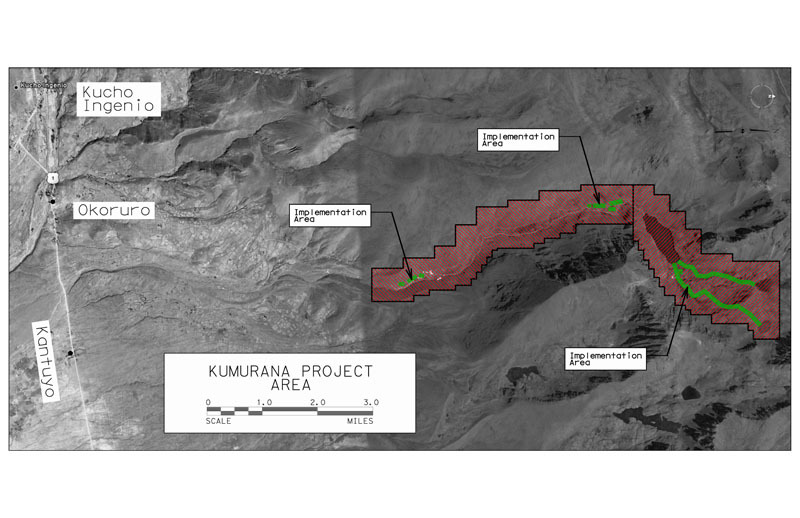 The proposed rehabilitation plan involves five primary action areas: I) Active treatment system installation for the operational mine discharge, II) Parallel passive treatment system installation for this discharge, III) Active treatment system installation for tailings runoff and ore processing water, IV) Passive treatment system installation for the abandoned mine discharge (Figure 5), V) Open limestone channel installation to improve water quality in Rio Khomer Khocha and Rio Bravo before they reach Laguna Santa Catalina (Figures 6 and 7), which then flows into Rio Juckucha. 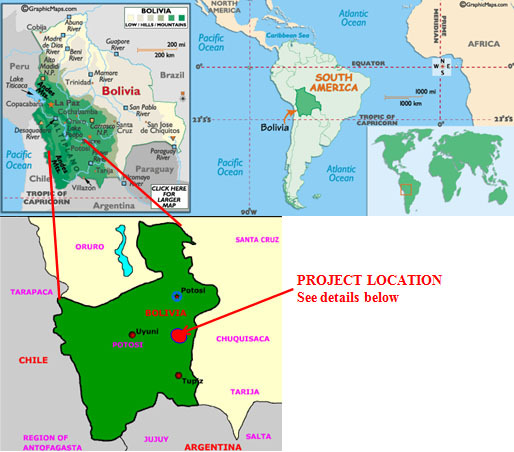 Figure 1: Project location with respect to South America and Bolivia. Figure 2: Implementation locations with respect to local communities. Figure 3: Rio Juckucha as it flows to the downstream communities. The red staining of acid mine drainage pollution is evident throughout the channel. 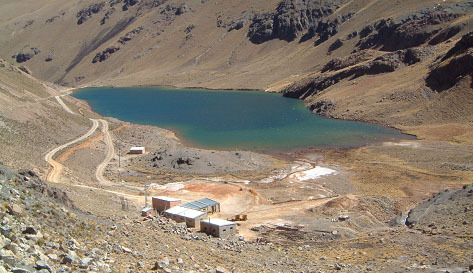 Figure 4: Laguna Santa Catalina and the currently operating mine in the foreground. Rio Juckucha flows out of Laguna Santa Catalina, which has low pH and elevated ecotoxic metals. This lake is impacted by contaminated waters from two upstream lakes, an abandoned mine, and active mining operations. 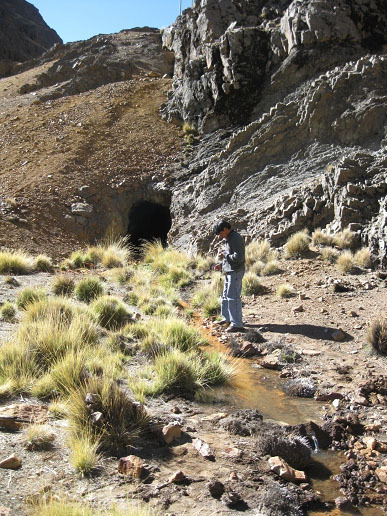 Figure 5: The abandoned mine that drains to Laguna Santa Catalina with Jose Alvarez testing water quality in the drainage channel. Figure 6: Muyu Khocha, a contaminated lake that flows into Laguna Santa Catalina via Rio Bravo. 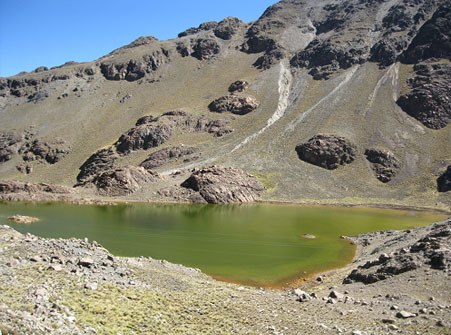 Figure 7: Khomer Khocha, the other contaminated lake that flows into Laguna Santa Catalina via Rio Khomer Khocha. 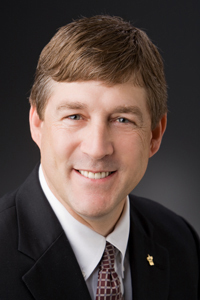 Dr. William H. Strosnider, PhD. 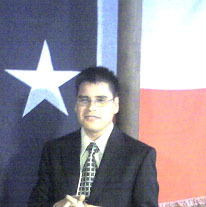 Dr. Robert W. Nairn, Ph.D.